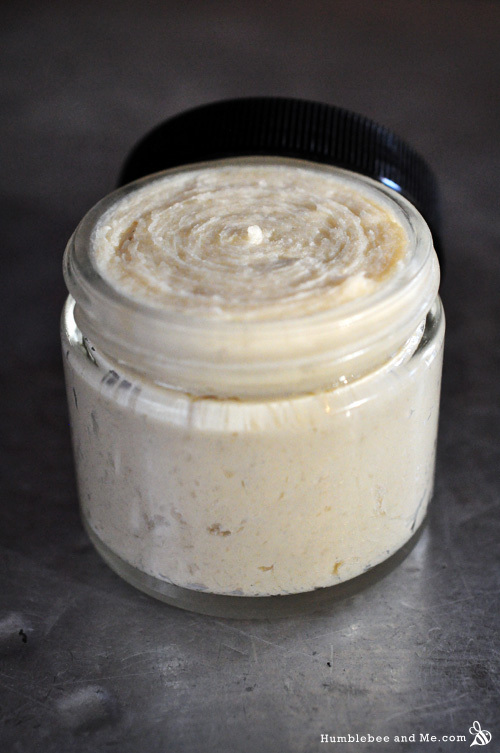 I’ve had a few requests for a facial cleanser that’s creamy, yet exfoliating, and here’s what I’ve come up with. 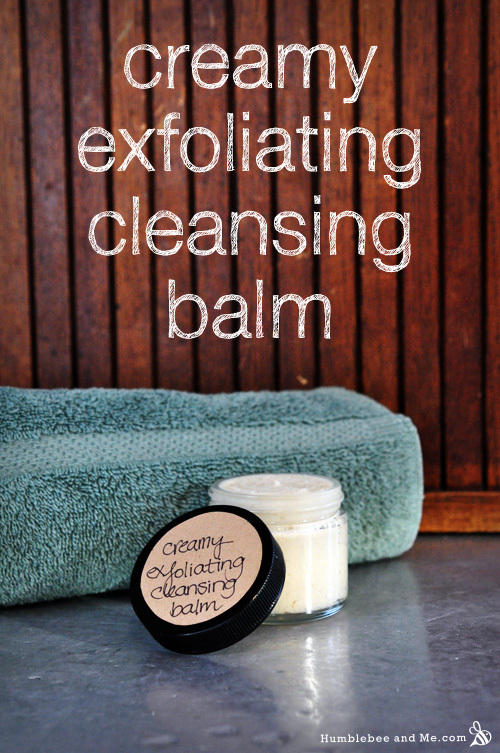 It’s thick, creamy, scrubby, and sudsy, and smells awesome to boot—an exfoliating creamy cleansing balm! 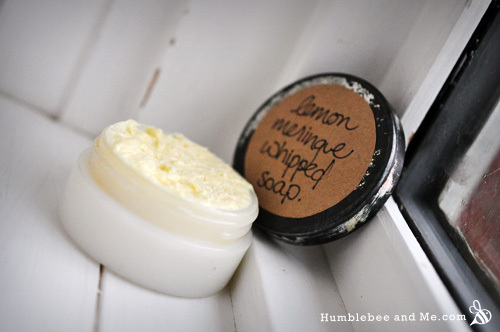 This luxurious lemon meringue whipped soap takes inspiration from one of my favourite desserts—lemon meringue pie. With its bright lemony scent, faint yellow hue, and decadent whipped texture, it’s lovely in a wee dish by your sink for hand washing and impressing guests. 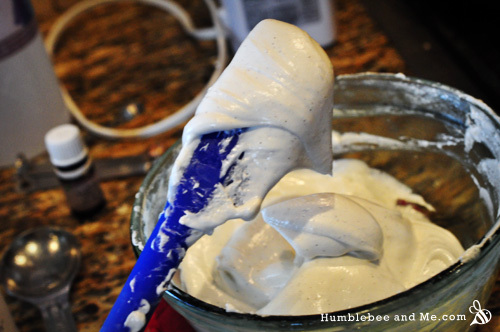 I’ve promised you a whipped soap recipe that doesn’t use stearic acid to stabilize it, and here it is. 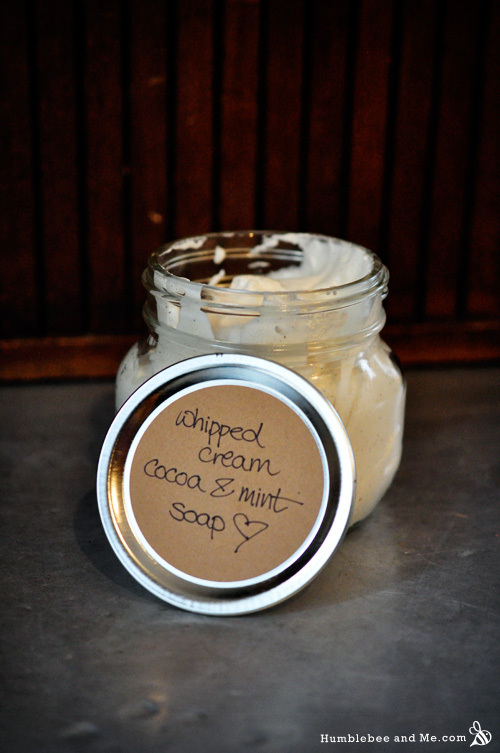 This one uses raw cocoa butter, imparting a delicious chocolatey scent along the way. 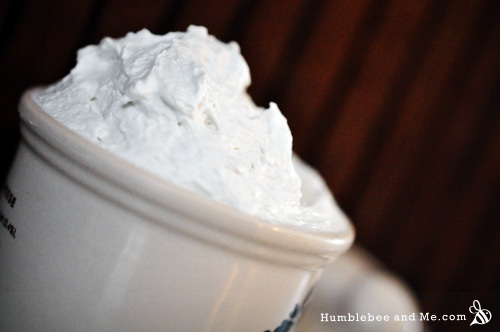 It’s still wonderfully light and airy, but it does end up with a slightly different texture than whipped soap stabilized with stearic acid—more marshmallowy than totally light and fluffy. 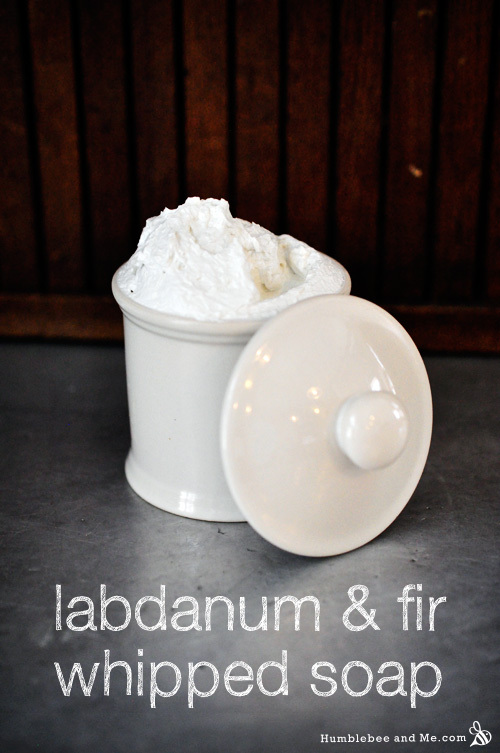 I’m super excited to present my very first whipped soap recipe—Labdanum & Fir Whipped Soap! The road to this recipe was paved with lots of brainstorming, many experiments, and a fistful of earplugs to prevent hearing loss from very dedicated use of my electric beaters. 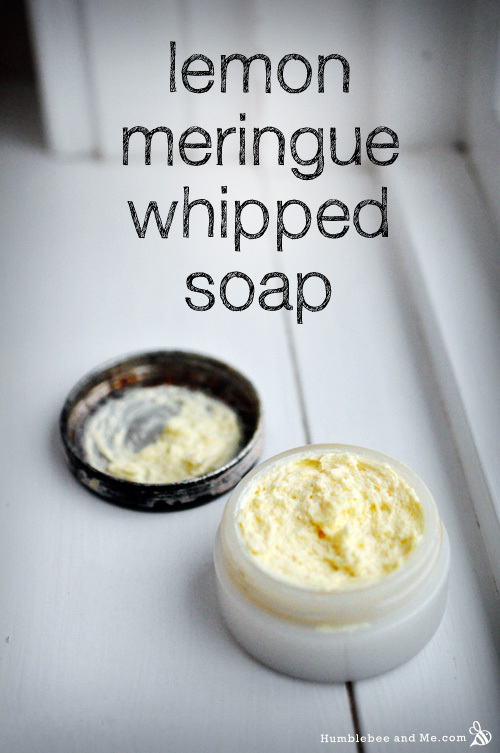 I’ve devised quite a few different ways to turn my basic cream/whipped soap base into something lovely and wonderful, and this is the first I’ll be going over. 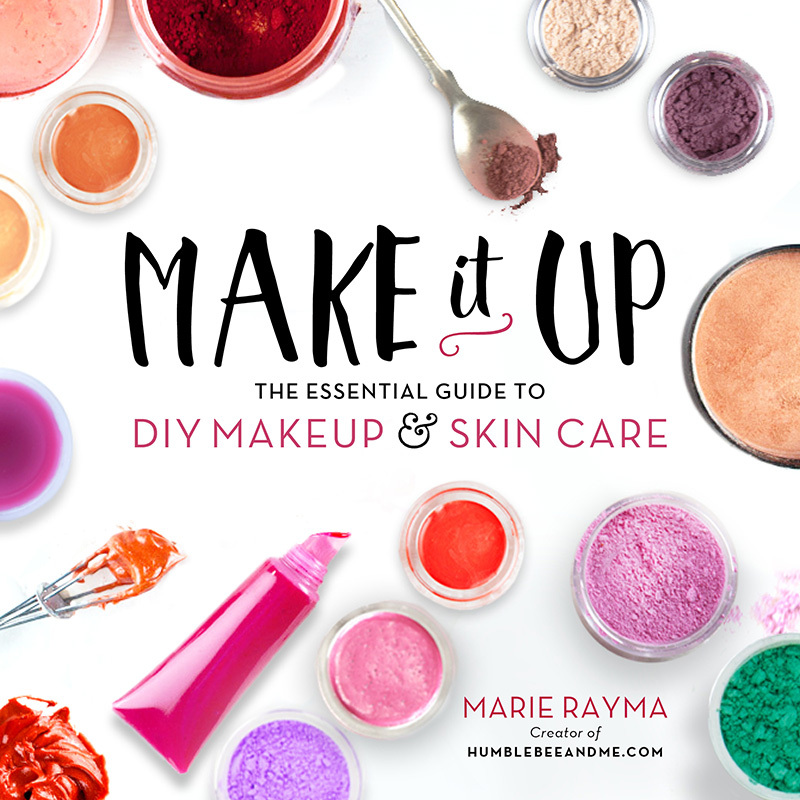 It produces a beautifully light, aerated soap that makes a divine shaving cream and just might convince your toddler to take a bath. So, let’s get started! 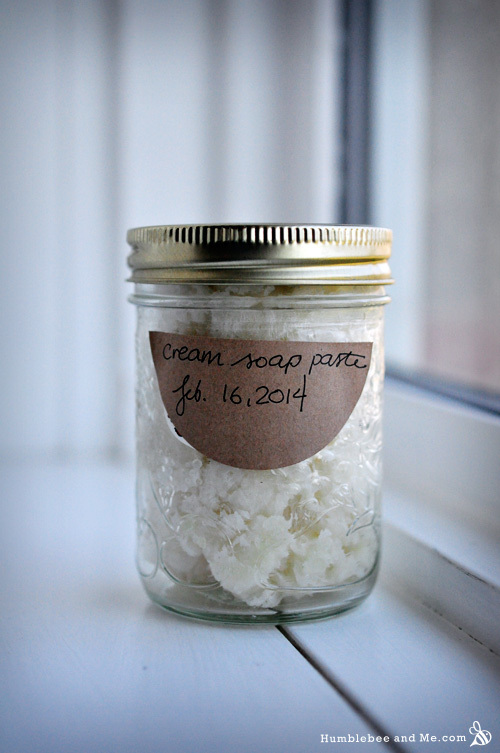 Once I found out about cream soap (and specifically whipped cream soap), I immediately wanted to make some, so I googled it to find out what it was, and how to make it. And it turns out it’s a “secret”. As in you have to join a specific Yahoo group and are then prohibited from publishing any such recipes anywhere else. And I think that’s crap. I mean, I spend heaps of my free time developing and sharing loads of my own recipes for free online (200+/year), so I’m obviously pretty keen on open source. 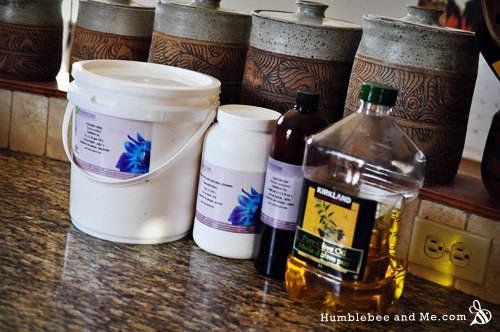 So, I set off to figure it out on my own, and then blog about it out in the open. How long should I age my cold processed soap?